opposite the British Museum. The nearest underground stations are Russell Square and Holborn. 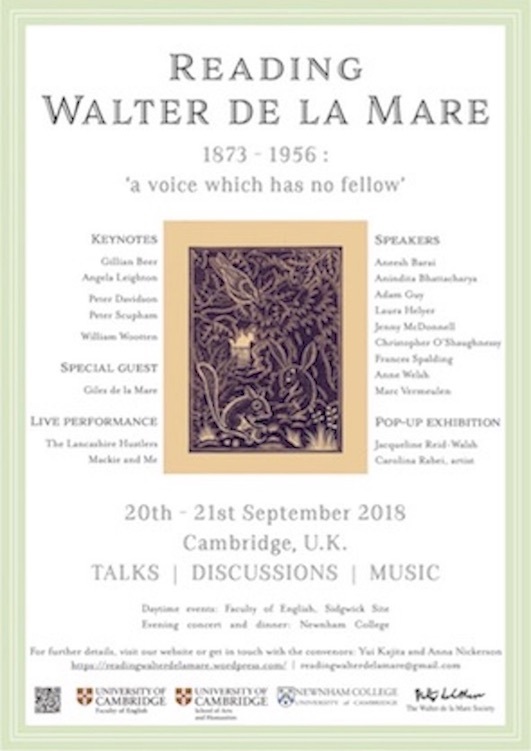 "Walter de la Mare and the Poetry of Enchantment"
are Russell Square and Holborn. Tickets are £10.00 / Drinks and refreshments will be provided. Hughes, Sylvia Plath and Peter Porter, came out in 2015.